Let’s say you’re chatting with your mom on a video call in Messenger to wish her happy birthday, and you want to add your sister and brother in to join the fun — we just made it super easy. We’re excited to share a small new feature that will hopefully have a big impact to make your video and audio chats easier and faster than ever. In Messenger, you can chat with one person or a group of people. Currently, to turn a one-on-one video or audio chat into a group chat, you have to hang up, start a new conversation from your inbox – either by creating an entirely new message or by searching for an old one – and then turn that conversation into a call. But with this new feature, you can simply turn a one-on-one video chat or voice call into a group call – without having to interrupt the conversation. While in a video chat or on a voice call, tap the screen and select the “add person” icon, and then choose who you want to join. It’s as easy as that. And of course, all your favoritefilters and effects are still available, too. Plus, after the chat ends, keep the conversation going in the automatically created group chat in your inbox. The ability to add more people to an in-progress video chat or voice call is available now on Android and iOS around the world. 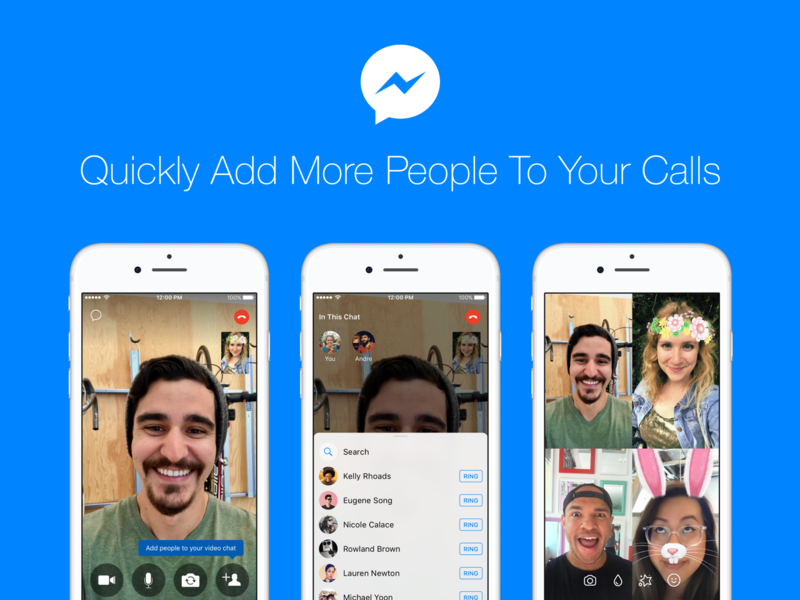 Make sure you download the latest version of Messenger to try it out. We hope you enjoy this handy feature and look forward to hearing your feedback!